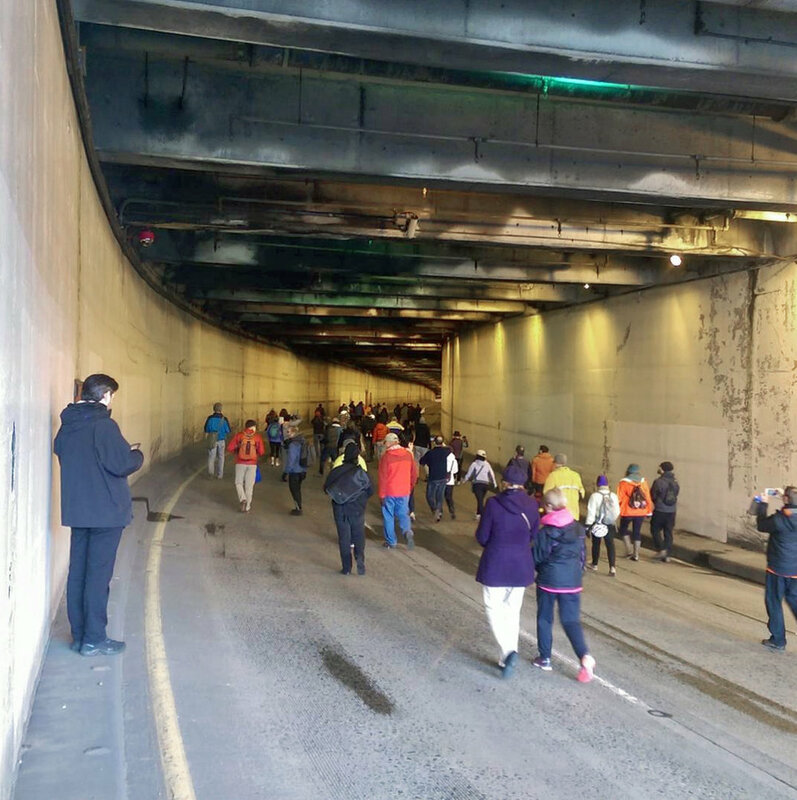 Below is a list of past, present, and future Recharge the Battery (RTB) events, each designed to share experiences and information about the Battery Street Tunnel. We hope that you have enjoyed some of our events which have already taken place and we look forward to seeing you an upcoming event soon! Please also check our Facebook page for further details. Our pop-up gallery at 2523 First Avenue is an exhibition to showcase Recharge the Battery submissions, as well as past, present, and future images and motion video traveling through the Battery Street Tunnel. Recharge the Battery and Design in Public co-hosted an evening of moderated discussion and public conversation about the Battery Street Tunnel at the Seattle Center for Architecture & Design. 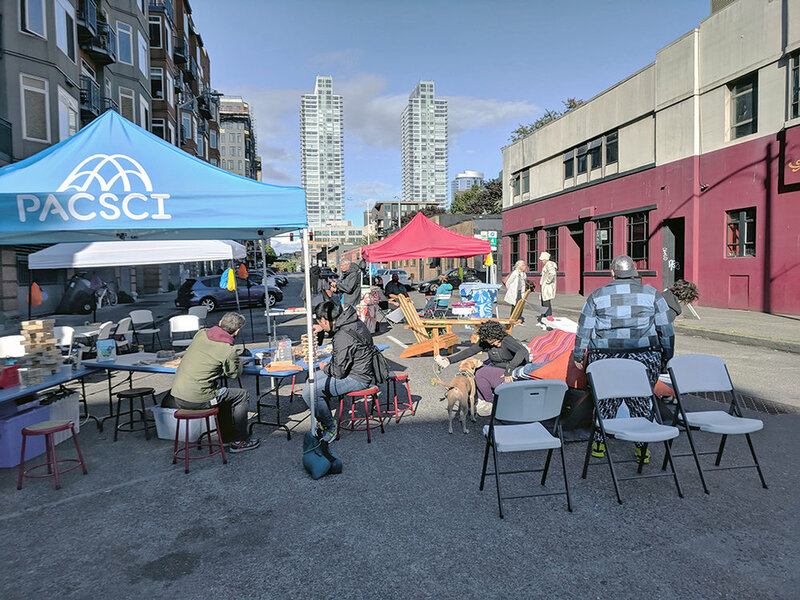 An evening of friendly conversation, public presentations, and visual exhibitions to share the comprehensive vision for Belltown2020—in conjunction with On the Battery. On March 26, 2018 City Council voted (7-2) to fill the Battery Street Tunnel. with inorganic debris. This plan will create a 7-block "dead zone,” without a single tree or bicycle or pedestrian amenity. Recharge the Battery invited the community to walk along Battery Street and talk about the history of the tunnel and the future possibilities for the Battery Street Tunnel. Photos of the Battery Street Tunnel and Recharge the Battery Idea submissions tunnel highlighted at the Belltown Community Center, part of the Belltown Art Walk. 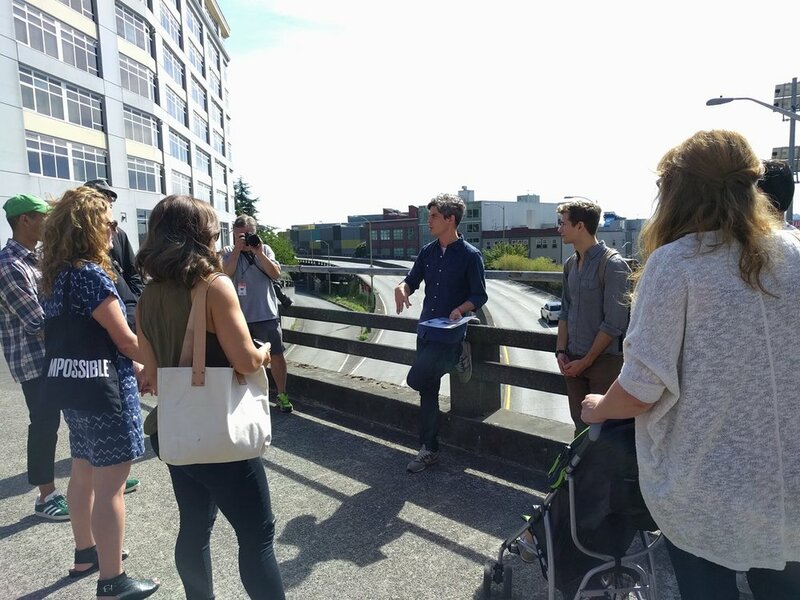 View some initial public ideas and possibilities for the future of the Battery Street Tunnel shaped by Seattle-area residents, sponsored by the Downtown Seattle Association. Walk the Battery invited the Seattle community into the Battery Street Tunnel to share a unique walking experience through a piece of Seattle's infrastructural history and to initiate a conversation about the Tunnel's future.